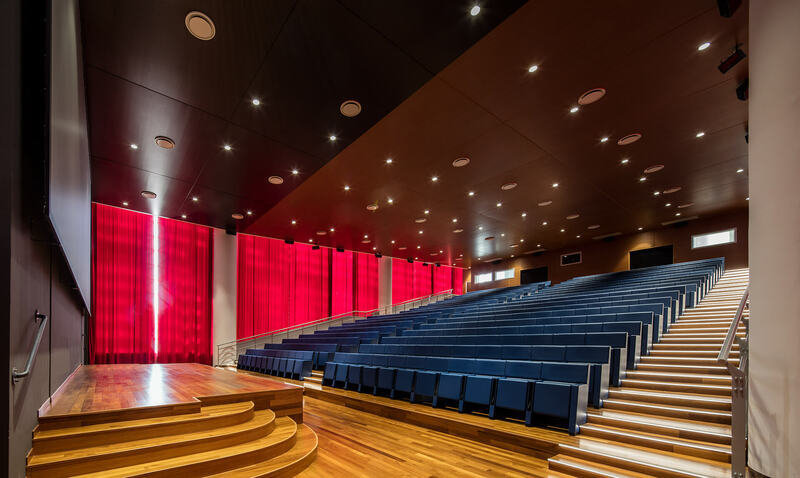 LAMM’s L213 armchair series is one of the main features in the outfitting of the high-tech lecture hall at the iOS Developer Centre of the University of Naples Federico II. The Melannurca or Mala Orcula, as Pliny the Elder entitled the apple depicted in the fresco paintings in the “House of the Deer” in Ercolano, has been one of the many acclaimed beauties found in Naples for over two millennia. However, another acclaimed apple has recently made its appearance along the slopes of Mount Vesuvius and it is all over the news. This time we’re talking about Apple’s candid icon. The titan of the digital revolution has chosen the capital city of Italy’s Campania region to establish Europe’s very first iOS Developer Centre. Thanks to a cooperative agreement with the University of Naples Federico II, the iOS Developer Academy was put into effect several months ago and courses are hosted on the campus at San Giovanni Teduccio. 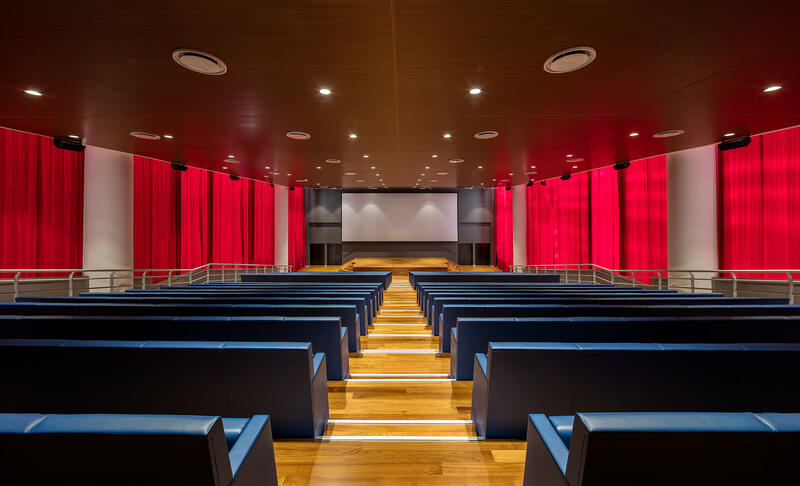 A well-structured learning and research complex was obtained from a high-profile renovation project of the former Cirio plant carried out by the Japan’s Ishimoto Architectural & Engineering Firm. The architectural and functional convention centre-lecture hall is the high point of the project and is equipped with a 50 square metre mega-screen featuring 3D and 4k projection technology. At the heart of the large hall, the evocative overseas parterre made up of over 400 L213 armchairs designed and manufactured by LAMM. This seating system designed and developed specifically for conference halls, auditoriums and lecture halls offers maximum comfort. One of the most extraordinary characteristics of the system is the decorum and order of the modules, enhanced by the coordinated chair back-seat inclination. 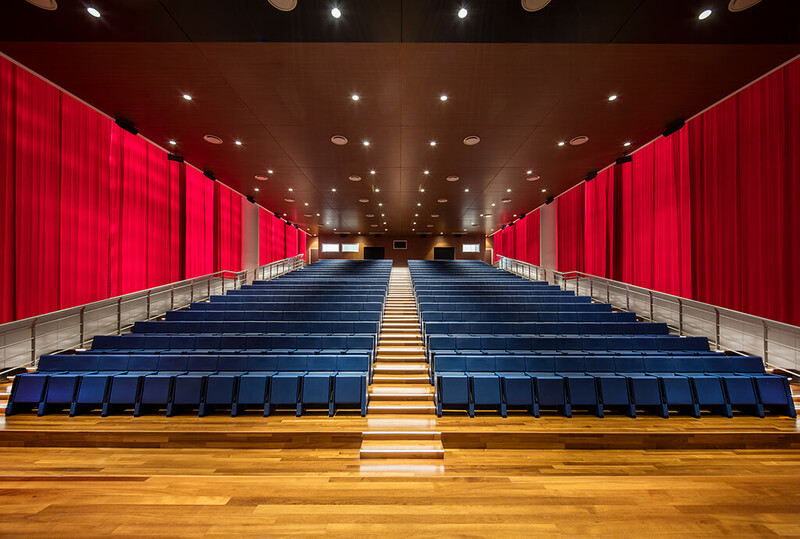 The L213 armchairs installed in the Neapolitan campus lecture hall are arranged in straight rows on steps. They are fixed to the floor by means of an anchoring foot encased in a scratch-resistant painted (black) sheet metal collar. Armchairs are upholstered in elegant blue faux leather and equipped with a tip-up foldaway writing tablet with anti-panic system.